February 11th was one of the most important days in the history of Zirconio. 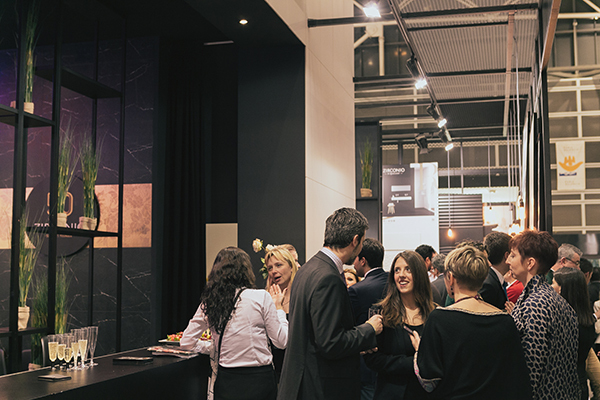 The Spanish based tiles brand celebrated at Cevisama Fair, in Valencia, their 50th anniversary. And we helped them to celebrate it organizing an event full of energy. 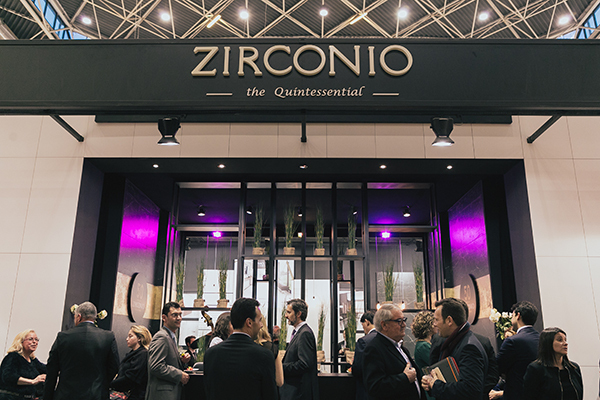 The event took place at the stand we designed for Zirconio, where quality built ceramics were mixed with jazz music, champagne and people. 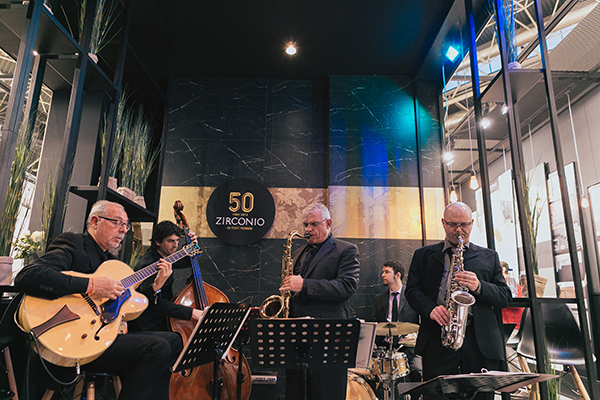 We invited friends who have been throughout this 50 years by Zirconio’s side to take part in it. There was a big contrast between the techniques used in the fabrication of excellent pieces of ceramic, the industrial look of the constructions, and the life, warmth delivered by music and people towards Zirconio. 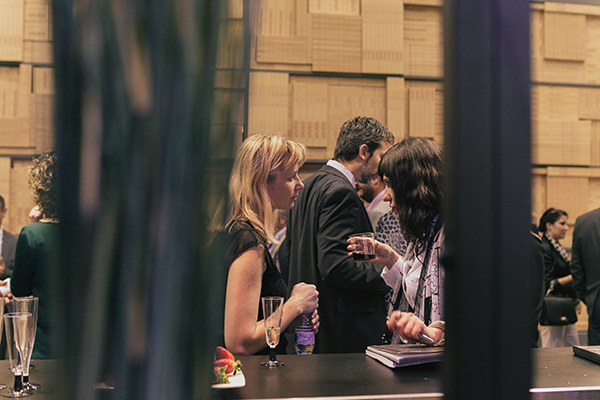 Wide, clean and perfectly illuminated spaces allowed the conversations to flow and helped attendees feeling comfortable at every moment. That’s the spirit of the event we designed and reflects perfectly their brand identity.